It’s a Mind, Body, and Soul Experience! Here at the Maui Yoga Shala, we provide world-class yoga in an inclusive environment that empowers students to live happy, healthy lives. Whether you are a beginner, advanced yogini, or somewhere in between, we have classes for you so drop In today!! Thank you for all of your energy, time and love towards my practice... A new person is blossoming inside me thanks to you and your wonderful instruction! 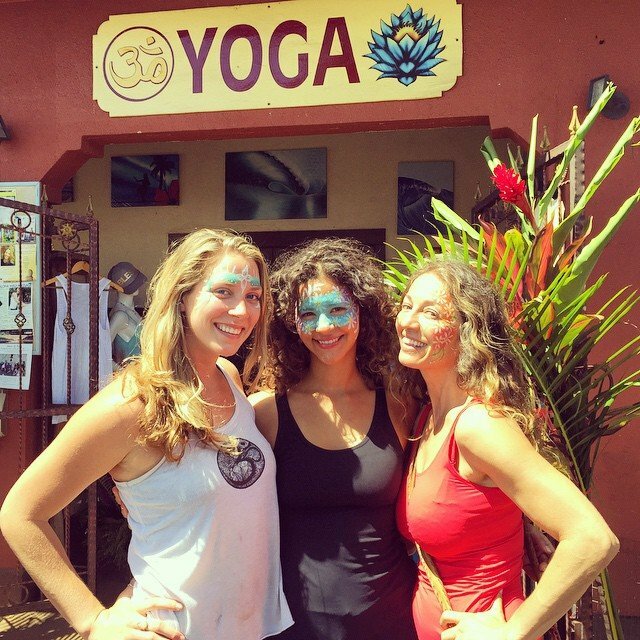 "Discovering Maui Yoga Shala is like discovering a new family. Everyone is so inviting, open-hearted, and understanding. Nadia and the other instructors have been excellent! From the location, to the ambiance, everything is perfect! People from all over the world come here to train and practice as they offer a variety of classes from top notch teachers :)"
I am so grateful for the strong turn-around you have given me. I Have LOVED this week - thanks to your skill, kindness, beauty, & generosity! Thank you so much for being a wonderful teacher and showing us the love of yoga. Love, Peace and Compassion. Thank you so much for teaching me, a very beginner in yoga and sprits. This experience will remain within my hearts all through my life. Thank you and I love you! "Probably the best community vibe I have found on Maui. So glad to have access to these great practices in the amazing town of Pa'ia. Namaste!" The Maui Yoga and Dance Shala is a place for healing and expressing the beauty of the human spirit. Located in the former historic Paia Train Depot along with our Island Fresh Cafe, we strive to be a portal for all seekers to connect deeply with their own bodies and each other, and move as their hearts desire. Nadia Toraman founded the original Maui Yoga Shala 23 years ago in Paia out of a desire to share her passion for yoga. She started first in Hawaii Yoga Teacher Training and that strong love for the practice continues today. We have yoga and dance teachers of many styles and backgrounds, providing for the needs of a wide variety of students – but the essence remains the same. The Maui Yoga and Dance Shala welcomes students from all around the world on its 200HR Yoga Teacher Training. Come to the station, leave your baggage out the door, move, breathe, and explore your body and soul, and enjoy the ride of your life in greater grace and joy.